A tweet with the statement on defamation suit filed under section 499 and 500 of Indian Penal Code (IPC), Akbar has stated a brief note in the tweet. It will now be interesting to see if Ramani proves her case against MJ Akbar in the court and whether Akbar will face any penalty for this alleged crime of sexual harassment against his female journo associates. 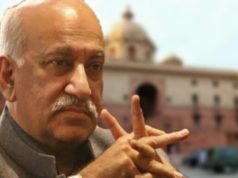 The Minister of State (MoS) for External Affairs, M J Akbar, has turned his threat into action when he approached the Patiala House Court to file a defamation suit against the journalist, Priya Ramani, on Monday. 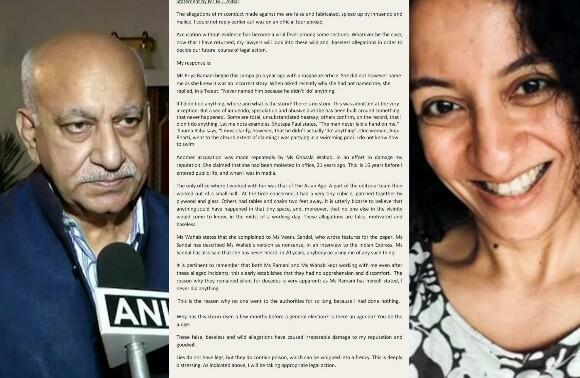 Priya Ramani had accused MJ Akbar, through #MeToo campaign on Twitter, of sexually harassing her when she was working under Akbar in 1990s. 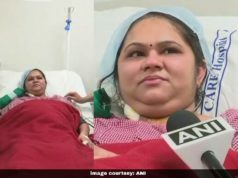 There were few other journalists who matched the tune of Ramani in casting similar allegations against the Minister through the #MeToo campaign. MJ Akbar was on his tour to Nigeria when these allegations surfaced on Twitter. 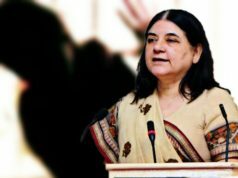 The minister, after returning to India, had threatened to approach legal course to deal with these allegations and called these allegations “wild and baseless”. In the meanwhile, opposition parties demanded Akbar’s resignation as the charges are serious against somebody seated in External Affairs Ministry. 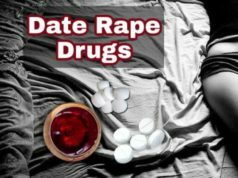 The minister, however, refused to accept the allegations and sought legal course of action against the accusers. A tweet with the statement on defamation suit filed under section 499 and 500 of Indian Penal Code (IPC), Akbar has stated a brief note in the tweet. 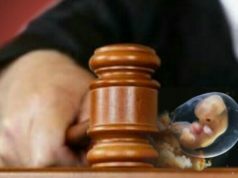 “The scandalous allegations levelled by the accused against the complainant (MJ Akbar) herein, by their very tone and tenor, are ex-facie defamatory and have not only damaged the goodwill and reputation of the complainant, in his social circles and on the political stage, established after years of toil and hard work, but have also affected the personal reputation of the complainant in the community, friends, family and colleagues, thereby causing him irreparable loss and tremendous distress,” stated the statement, quoted ANI. The statement highlighted that accusations from journos have “tarnished” Akbar’s image before public and other of his companions. In response to the defamation suit, Ramani, asserted that she is ready to tackle Akbar and his associates legally. “By instituting a case of criminal defamation against me, Akbar has made his stand clear: rather than engage with the serious allegations that many women have made against him, he seeks to silence them through intimidation and harassment. Needless to say, I am ready to fight allegations of defamation laid against me, as truth and the absolute truth is my only defence,” roared Ramani through a tweet in reply to Akbar’s tweet. It will now be interesting to see if Ramani proves her case against MJ Akbar in the court and whether Akbar will face any penalty for this alleged crime of sexual harassment against his female journo associates. As many as 7 women have raised their voice against Akbar over sexual harassment during their tenure under Akbar when he was working as a senior level editor in a newspaper.